A question often asked to employment lawyers is whether or not an employer can restrict a departing employee from soliciting clients that the employee brought into the employment relationship. This can be a bit tricky to provide a specific answer to, but there are several factors that any employment lawyer should review and that an employee should consider either during their hiring or when departing. Ultimately, it’s important for each party to clearly protect their own interests. Like almost everything in employment law, whether an employer can restrict a departing employee in soliciting certain clients is dependent on each individual case. Restrictive covenants are generally not enforceable unless it can be shown that the restriction was reasonable at the time the contract was entered into. The classic features in assessing a restrictive employee contract are propriety interest (does the employer have a legitimate interest in protecting something? ), temporal length (how long does the restriction run for?) and geographic scope (is there a reasonable limitation on the area of the restriction?). There are numerous other important factors – and the list is not exhaustive. Each case depends on its own unique set of facts. It would be hard to argue that an employment contract that allowed an employer to essentially abscond with the employee’s existing client base at any point in the relationship (whether the employer acted in this fashion or not), and prohibit the employee from soliciting those clients was fair and reasonable. If the employment contract expressly recognized the existing client base, the value of it, provided consideration (such as a hiring bonus), and was otherwise reasonable and fair – it would stand a better chance of holding under the rigors of employment law. 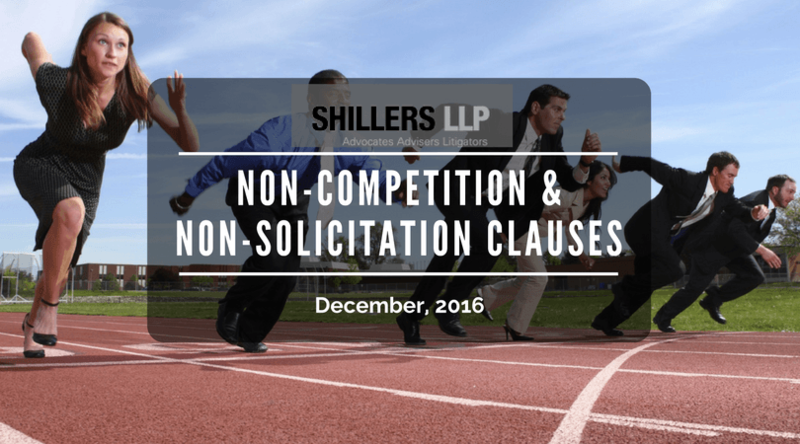 Employers should craft any non-competition or non-solicitation clause with the utmost precision, and should seek appropriate legal advice. Just as important, employees and potential employees should have some foresight and review these clauses with a keen eye. As always, it is best to consult with an employment lawyer to determine an effective course of action and to better understand your rights.